← What About the Consumer? 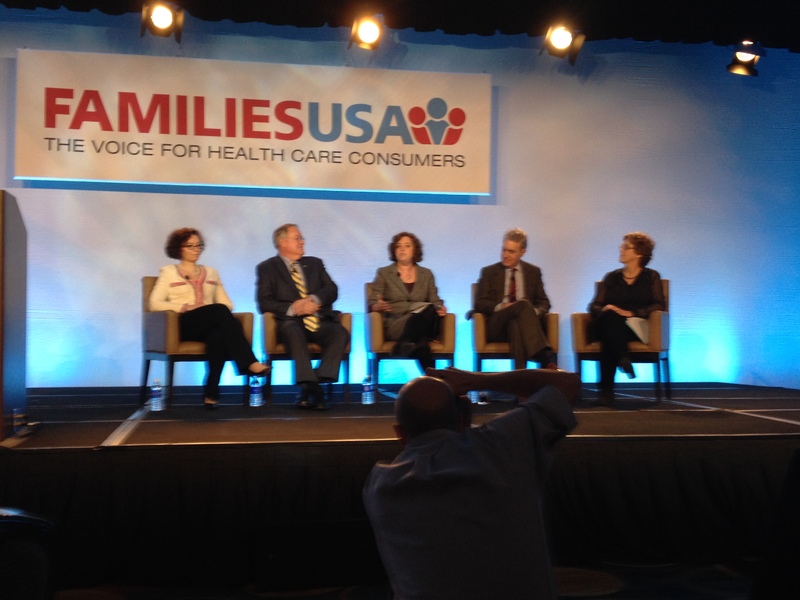 This year’s Families USA Health Action Conference, Health Action 2015, marked the 20th year that state-based and national health advocates met to focus on how to work together to achieve access to quality, affordable health care for all. The conference illustrated both how unified and divided the health advocacy movement is. One unifying theme of the conference was to emphasize and celebrate the accomplishments of the Affordable Care Act (ACA). Excellent enrollment numbers and the smooth functioning of exchange websites were touted. Connecticut’s own Kevin Counihan, former CEO of Access Health CT, our state’s health insurance marketplace and now CEO of healthcare.gov, the federal marketplace, participated on a panel that focused on the successes being achieved in the current open enrollment period that will close on February 15. Achieving health equity was also a focus that emerged frequently throughout the conference. Unfortunately, along with the good news came the grim reality about just how much all health advocates are going to have to play defense to hold onto the many gains we have already made through the ACA, Medicaid and the Children’s Health Insurance Program (CHIP). Threats loom, both from the King v. Burwell Supreme Court case and the many efforts underway in state houses and the U.S. Congress to take away or dilute hard-fought protections and programs. Health Action 2015 also showcased how diverse and diffuse the movement for quality, affordable health care has become. On the positive side, there were more young people and more people of color in the audience than ever before. Many are engaged in enrolling people in Medicaid and private insurance through the ACA. But the conference also highlighted the wide range of issues that advocates are focused on. This diversity makes it challenging to maintain a unified consumer health advocacy voice at both the state and national level. The very nature of the ACA, with its focus on state-based implementation, can keeps advocates’ attention divided. If you are from a state that has yet to expand Medicaid, that is often your number one priority, leaving little time or energy to focus on anything else. In states like Connecticut, with Medicaid expansion already done, much of advocates’ focus is on monitoring and improving Medicaid or refining important insurance market policies such as provider network adequacy, making plan designs more consumer friendly and insurance rate review. Advocates in a state like Connecticut are also focusing on health system transformation and innovation. These advocates are taking on a whole host of issues surrounding how to get to the holy grail of the Triple Aim: lower costs, better care and improved population health. They are working on things such as price transparency, State Innovation Model (SIM) projects and other major payment and delivery reform initiatives that were also addressed in conference sessions. In the following weeks we’ll put out a series of blogs highlighting the diversity of issues covered at Health Action 2015. This entry was posted in Jill Zorn and tagged Cost & Quality, Health Equity. Bookmark the permalink.